Heat oven to 375°F. 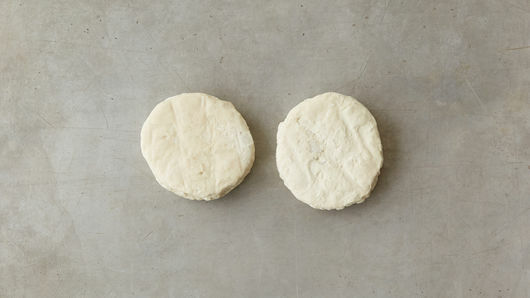 On small, ungreased cookie sheet, bake biscuits 2 inches apart 20 to 24 minutes or until golden brown. 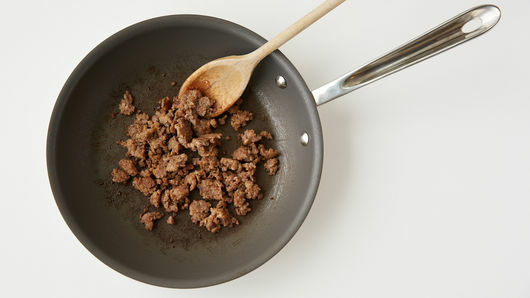 Meanwhile, in 10-inch nonstick skillet, crumble sausage. Cook over medium-high heat 3 to 5 minutes, stirring frequently, until no longer pink. Stir in flour, salt and pepper. 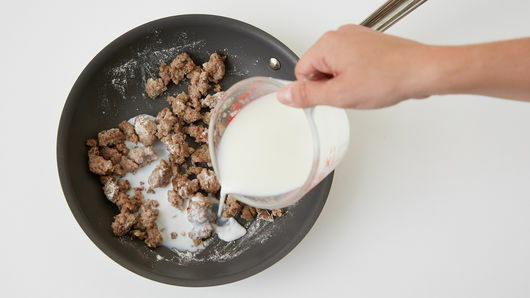 Gradually stir in milk. Cook 1 to 2 minutes, stirring constantly, until mixture thickens; cover and keep warm. Split biscuits; place on serving plates. 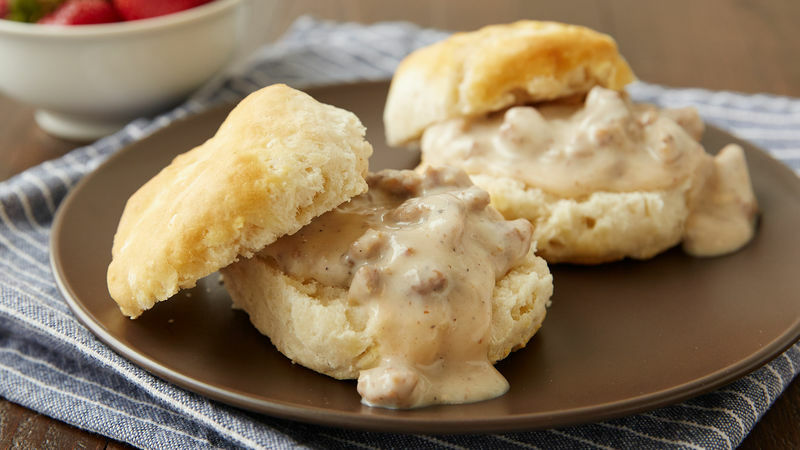 Serve sausage gravy mixture over split warm biscuits. Bulk breakfast sausage also comes in a spicy version, if you prefer more heat. Double the recipe if you’re serving more than two people.